#NoDAPL broke the internet again. 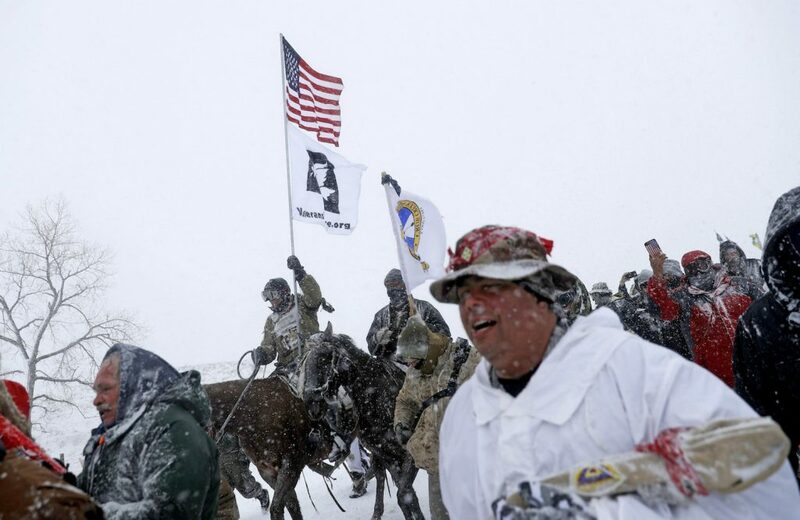 Eight months after the indigenous Sioux Tribe started a petition opposing the North Dakota pipeline, the Army Corps of Engineers confirmed they will not let the $3.8 billion pipeline be built in its original location. It’s not the first time people power has won over financial gain. But the success of campaigns like this comes as a surprise to those who feel that ‘normal people’ can’t change things – especially when economic interests are involved. So what can we learn from the #NoDAPL story? From the fight for the minimum wage, to the suffragette movement, to countering racist Jim Crow laws in the US, people-powered movements for whom winning initially felt like a distant fantasy have been responsible for crucial social change. How have they done it? A common thread throughout these successes is the diversity of the groups coming together to build a coalition for a common cause. 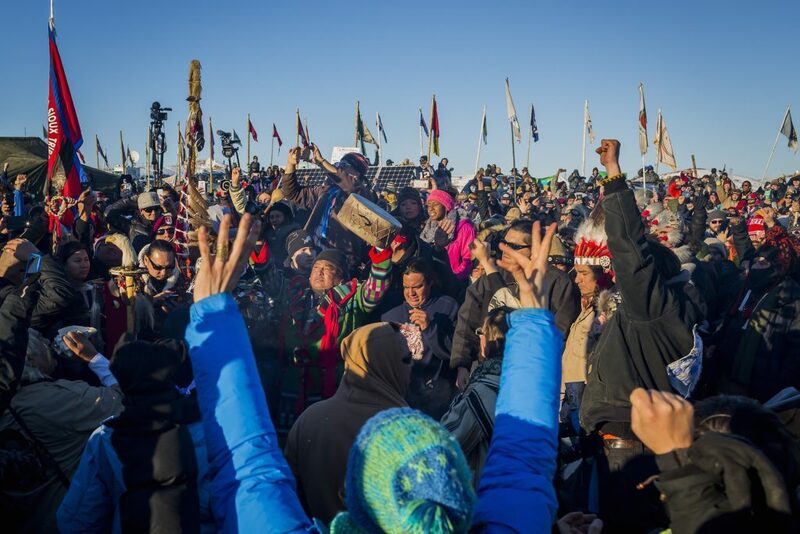 In the case of #NoDAPL, everyone from Native Americans, to politicians, veterans, to climate activists, to people not involved in politics before but passionate about the issue at hand withstood sub-zero temperatures and rubber bullets to make a stand together. It’s not the first time this approach has worked: in the struggle against South African apartheid, students, trade unionists, artists, and academics across the world worked together to support the South African movement, organising large-scale boycotts that eventually helped break the economic back of the apartheid regime. And the message is getting across – the Canadian government is now factoring the risk of Aboriginal dissent into decisions on whether to fund oil projects. The more people power wins, the closer the collective voice of communities traditionally shut out of power comes to holding real leverage when big economic decisions are made. Too often, people living in democracies have the impression that the only time to have their say is once every four or five years in the ballot box. This decision has shown how untrue this impression is. More often than not, landmark decisions have happened because everyday people highlighted an important issue and forced the politicians of the day to deal with it – now. The pipeline was originally approved by the very US Army Corps which has just announced it won’t be built; and Barack Obama was silent before pressure mounted. Again, history shows this isn’t the first time: President Woodrow Wilson passed the 19th Amendment granting women the right to vote in the US even though he was initially opposed to women’s suffrage. 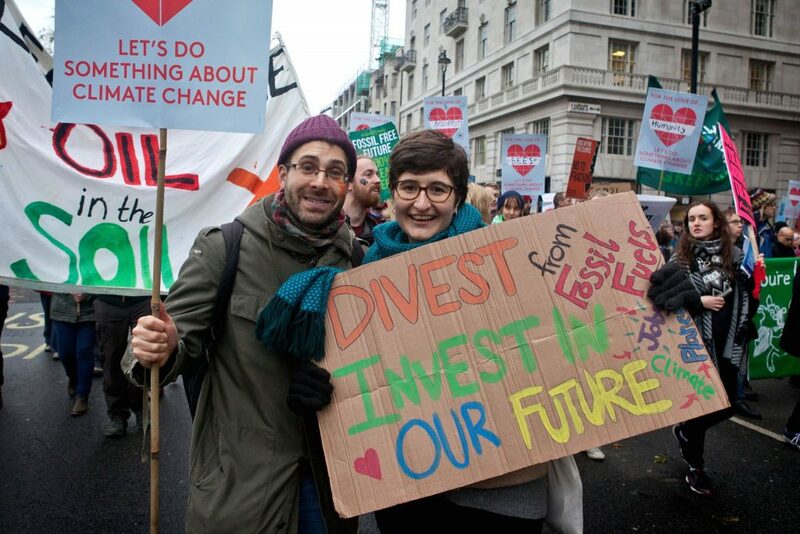 Just recently, the student-led ‘Fossil Free’ campaign has successfully pressured over a quarter of UK universities to withdraw all their investments in fossil fuels. Elected officials might not always start on the same side as a social movement, but that doesn’t mean they can’t be made to change their position. Economic choices are being made all the time, not just in line with the horse race election cycle – and people have the power to influence them, whenever. 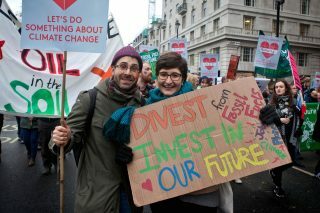 It’s been said before, but we’ll say it again: social media is transforming the scope of how people can make change. 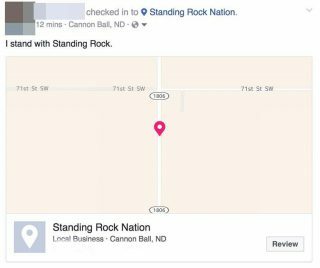 Mainstream, and often corporate-funded, US media outlets were slow to cover the #NoDAPL protests – the little airtime it did get often relied on secondhand accounts and police reports, with little on the ground reporting. But social media and alternative platforms filled the coverage void. Organizations like The Young Turks and Democracy Now reported extensively as the movement unfolded, spreading message far and wide through their social channels. 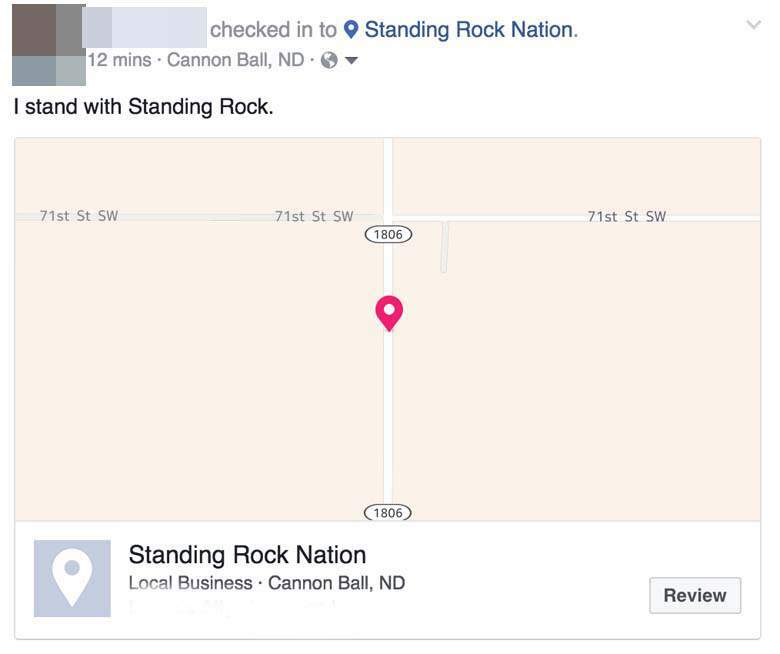 1 million people ‘checked in’ at Standing Rock on Facebook to show solidarity with the protesters. Independent outlets and so-called ‘citizen journalists’ have played a major role in some of the most significant upheavals of the past decade. From Bernie Sanders’ rise to the Arab Spring, social media has facilitated communication and disseminated information among people previously unable to connect with each other. News coverage used to be almost exclusively in the hands of a few - we relied on mainstream media to inform us and shape our opinions on the economy and society. Now, this power has spread – a much wider range of outlets exist, representing a much wider range of voices, perspectives, and information. Of course, this can be used for good and for bad; the spread of ‘fake news’ can have toxic consequences. But in responsible hands, broader access to information and communication can be a powerful tool for social change.